Last year for Christmas, my brother made me the most awesome gift - he custom dyed a t-shirt with my name on it (using the atomic symbols for the elements lanthanum, uranium and radium) (La U Ra!). 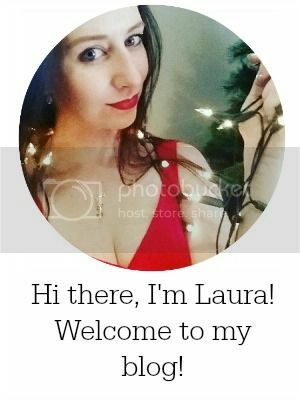 It was such a cool idea that I demanded another one (big sister benefits!) and the second time, he let me in on how he did it. Ok, first off: the stencil. 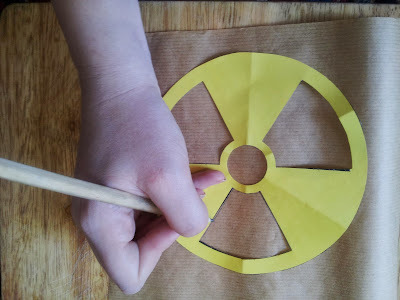 You can either use a pre-made stencil, or make your own from cardboard, acetate sheets, wax paper, etc. 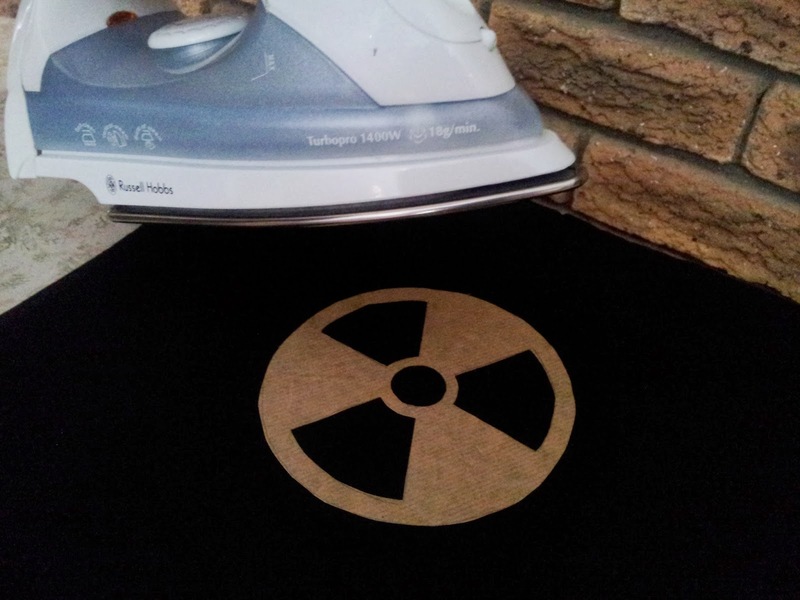 Basically, anything that will be able to block the bleach from touching the t-shirt where you don't want it. A good idea is to practice first on an old rag or shirt that you don't mind ruining. 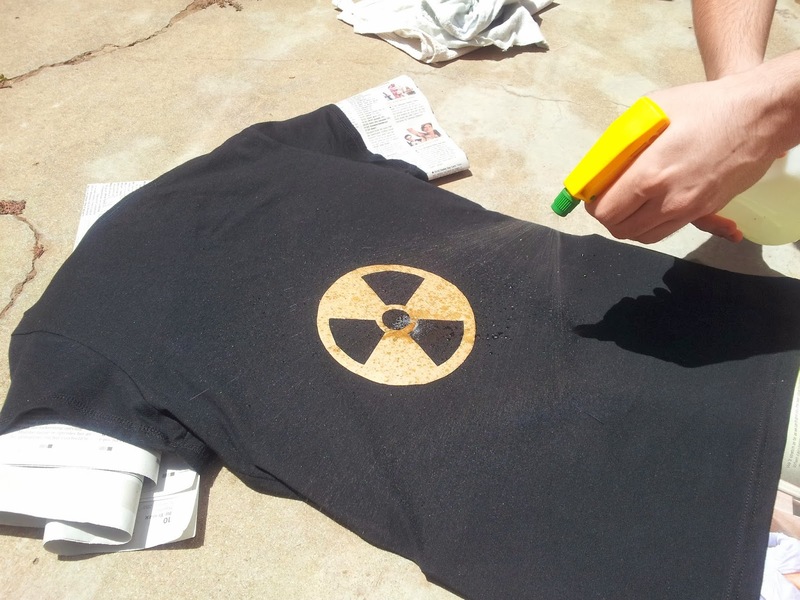 Just in case, it's also best to do this on a cheap t-shirt in case of a mistake. The first step was finding a design. 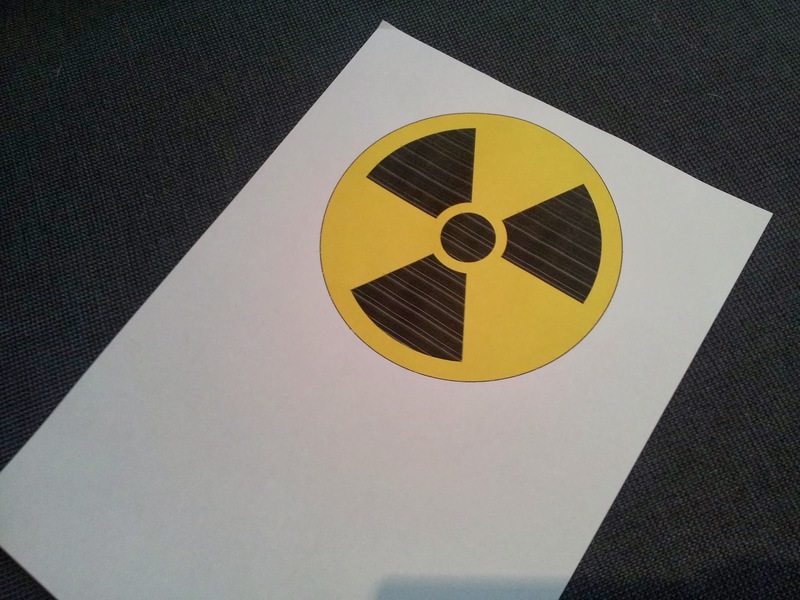 I wanted a radiation warning symbol (because my job involves working with radiation), so I found one on the internet and printed it out in the size I wanted. I then cut out my pattern and traced it onto wax-backed brown paper. (You can use your choice of medium). 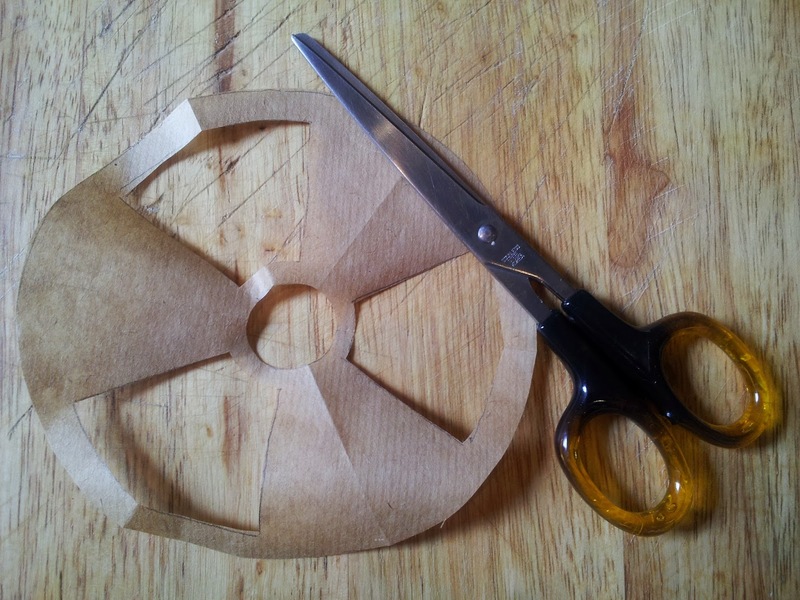 The resulting "stencil" was carefully cut out. My brother then ironed the wax paper to the t-shirt to make it stick. I wanted the whole back of the t-shirt splattered except for the design, so we didn't cover up any other spots. 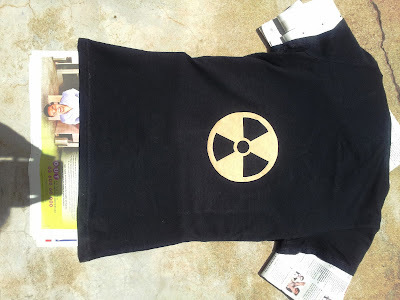 Stuff the shirt with lots of newspaper to prevent the bleach from seeping through to the other side. You want to work in a place where it doesn't matter if bleach gets on the ground - we worked outside on the old concrete stoep, but an alternative is the bath/shower (just rinse clean afterwards). Put some bleach in the spray bottle with an equal amount of water (that is, a 1:1 dilution). This makes the bleach safer to work with. Don't dilute it any more, though, because it won't work as well. Now for the fun part! 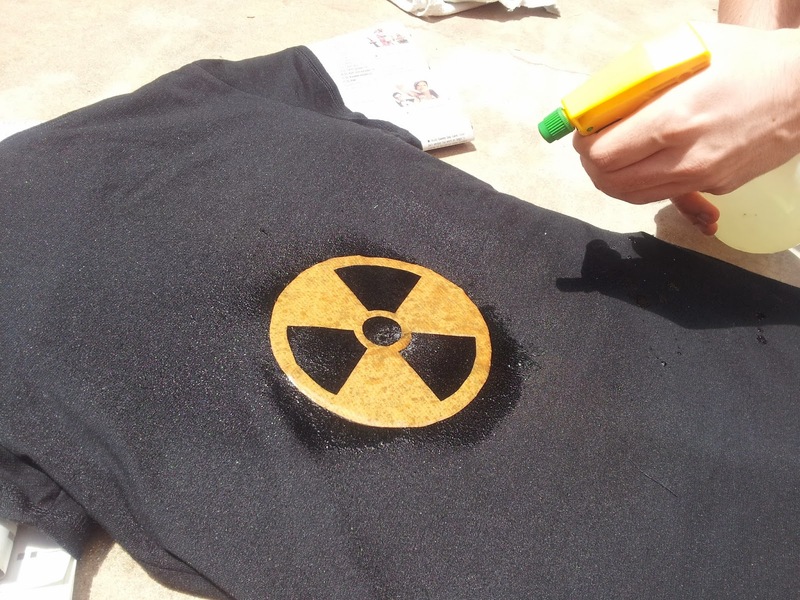 Spray at your t-shirt! You want to get an even distribution without any section getting too "wet". 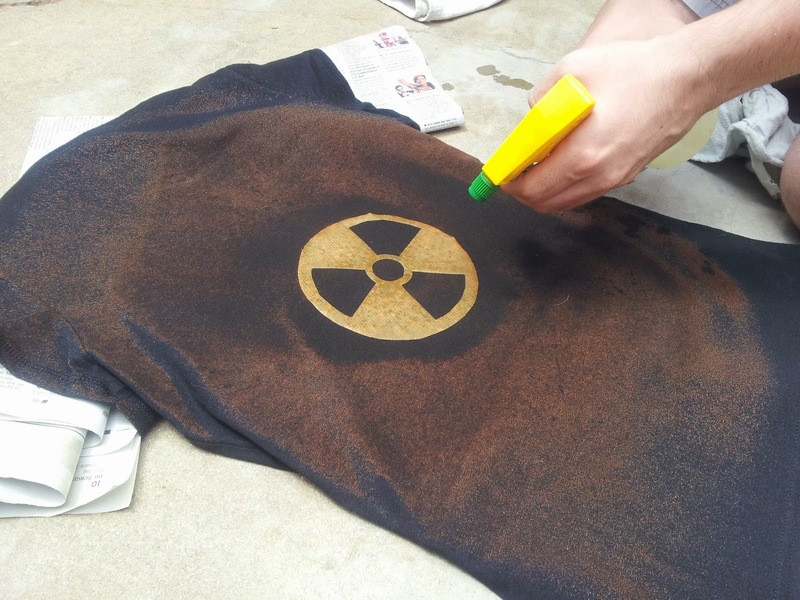 To do this, don't spray too close to the t-shirt, and make sure that the spray bottle gives out a fine mist. If you are using a cardboard or acetate stencil, make sure that it stays in one place. 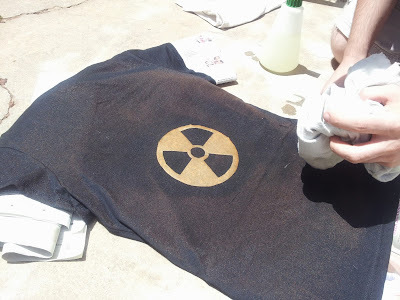 You want to spray from above so that the bleach doesn't seep underneath the stencil. 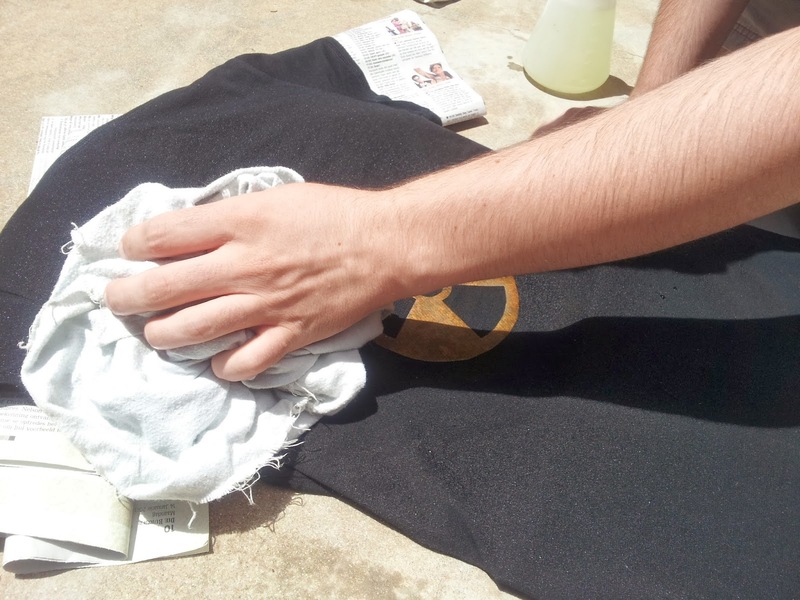 Dab carefully with an old rag if a section gets too wet. As I said, we wanted the whole back of the shirt to be bleached, but if you only want the area around your stencil (like in the first image at the top of the post), then just spray where you want. 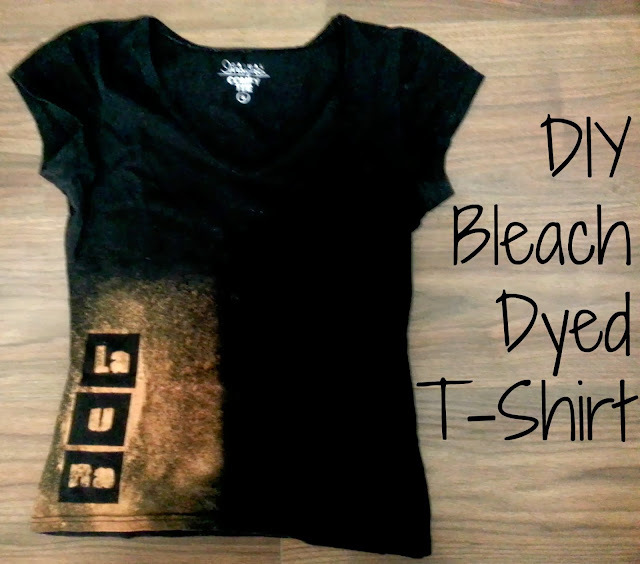 (A good idea is to place several layers of newspaper over the areas that you do not want bleach getting). You should be able to see the bleach starting to work! Once you can see that the bleach has worked, plunge the fabric into a bucket of water immediately! This will dilute the bleach significantly and stop it from working any further. Wash the t-shirt thoroughly. 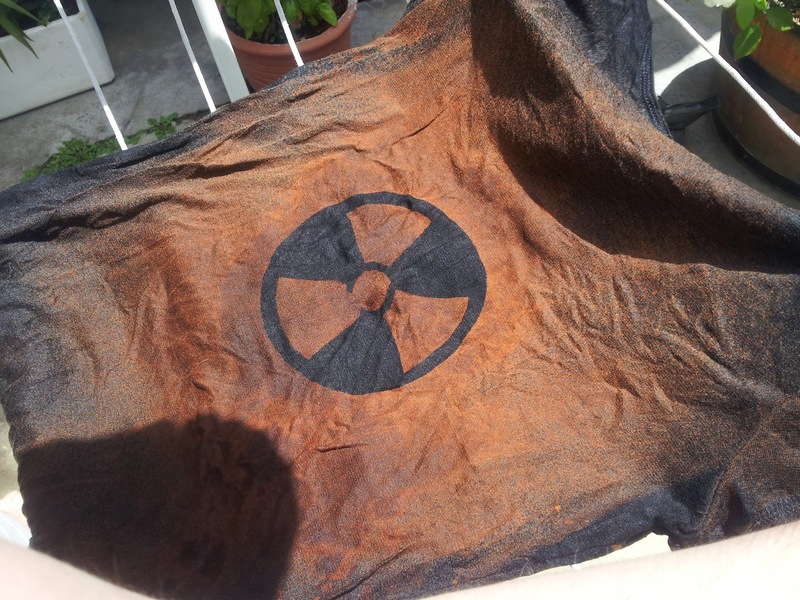 Place in the sun to dry! (As you can see, our stencil lifted slightly so the central circle has bled a bit, but this didn't bother me). 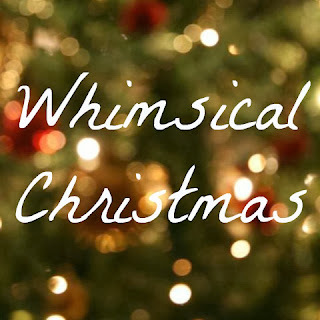 Music Monday - Christmas Edition!